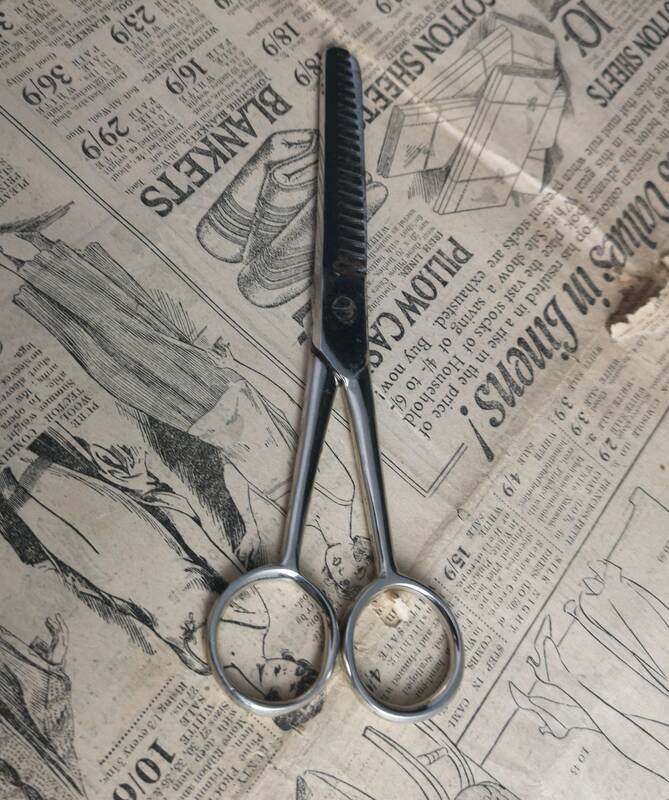 A lovely pair of vintage barber scissors made from strong solid steel. 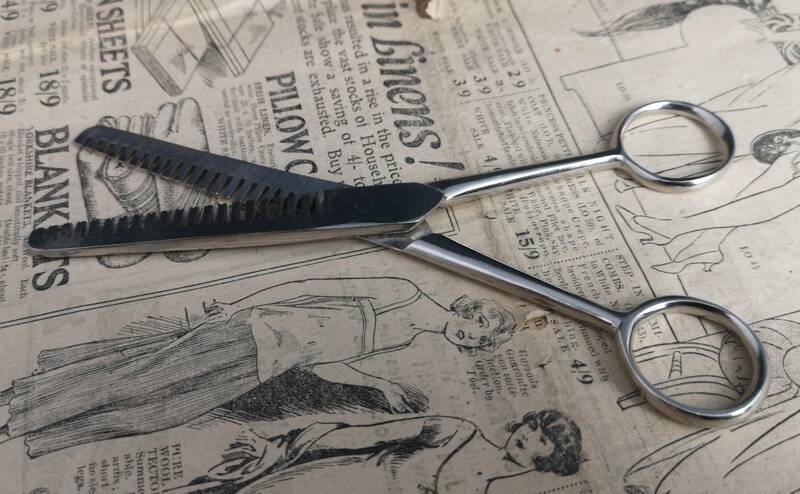 They are toothed scissors for thinning or feathering hair and are in good vintage condition. 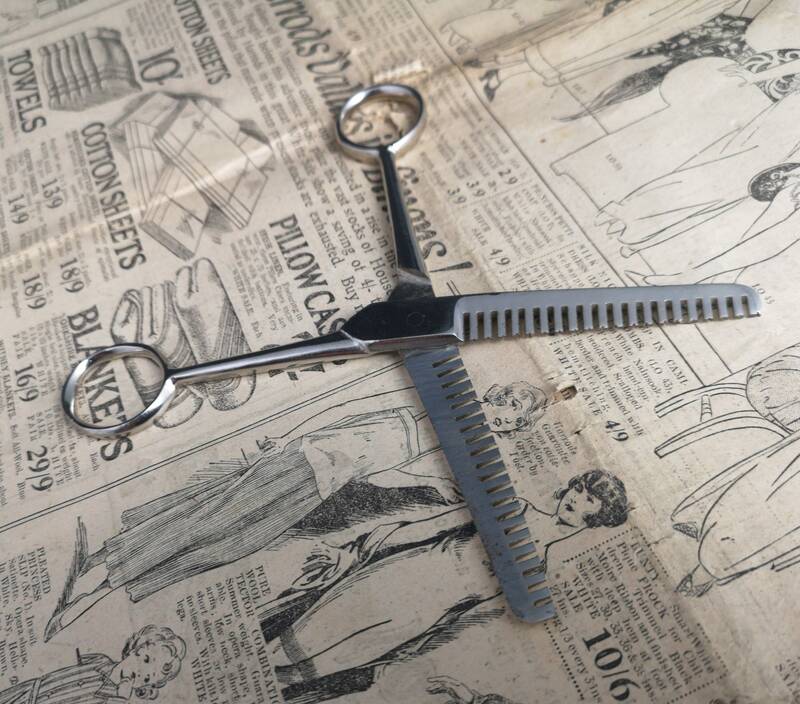 They are unmarked with no maker present, they came to us as part of a large collection of antique and vintage barber collectables. Approx 6" length and 2" width when closed.